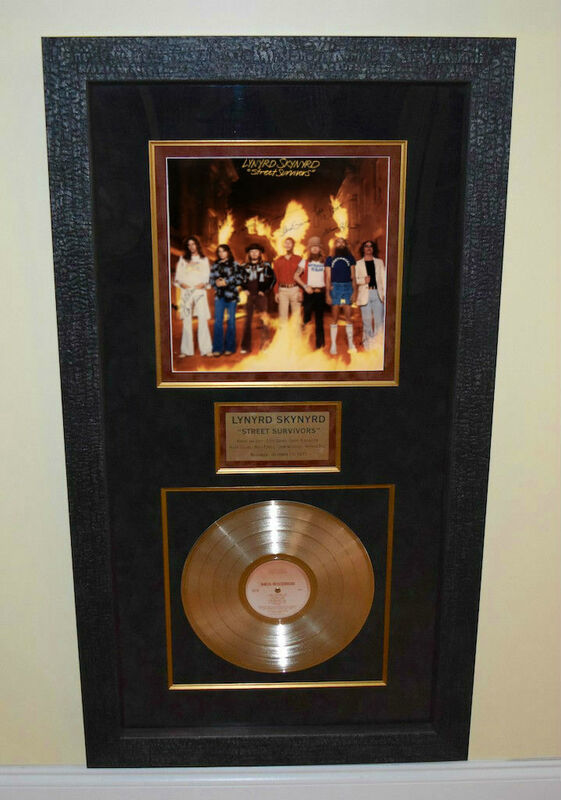 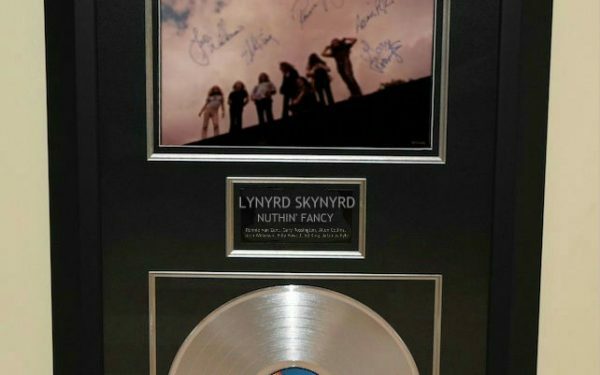 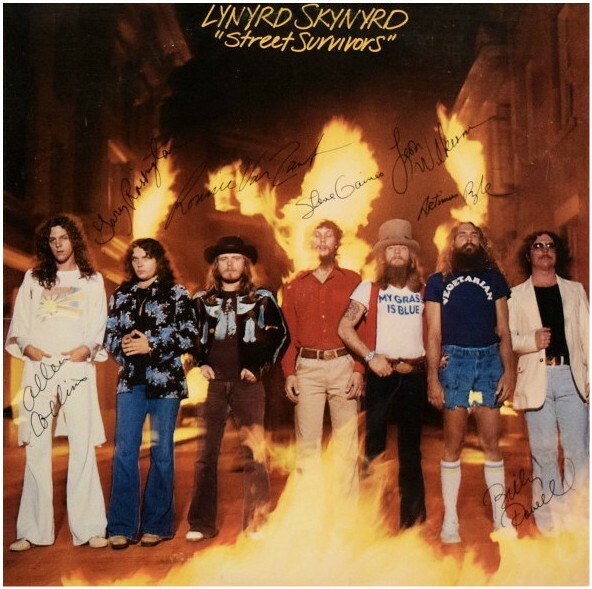 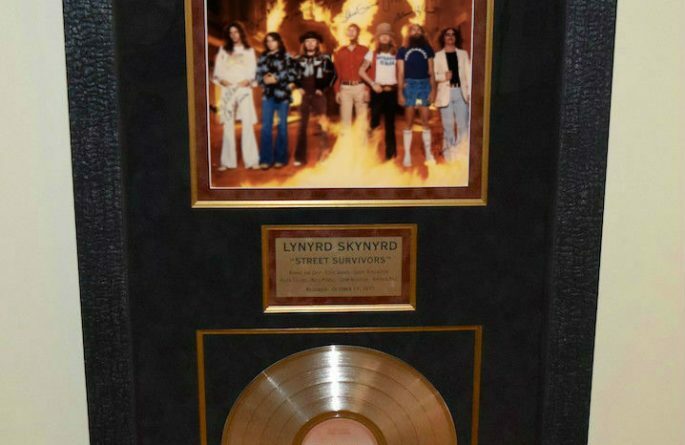 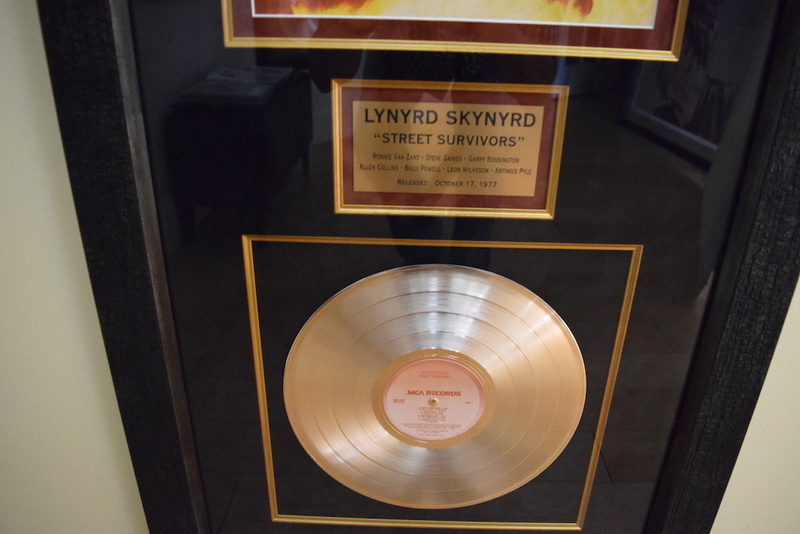 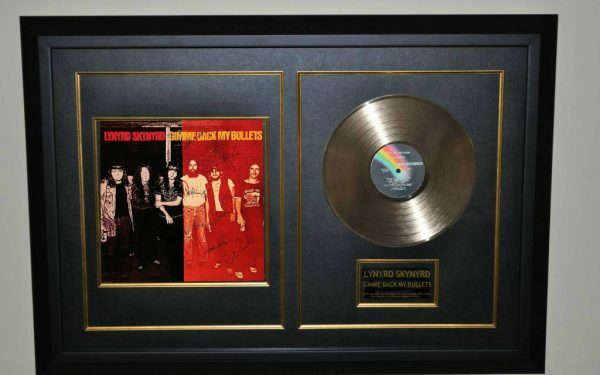 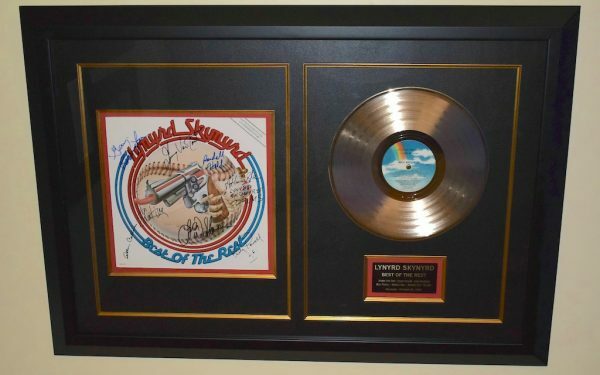 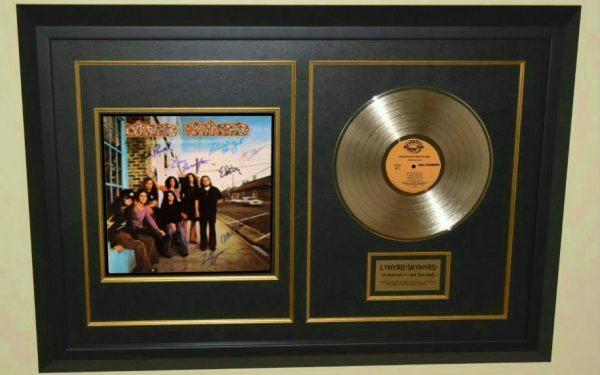 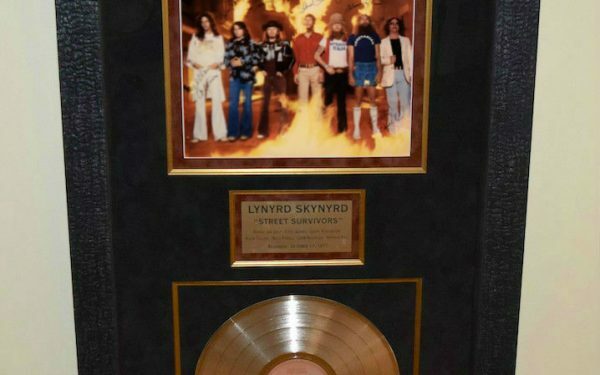 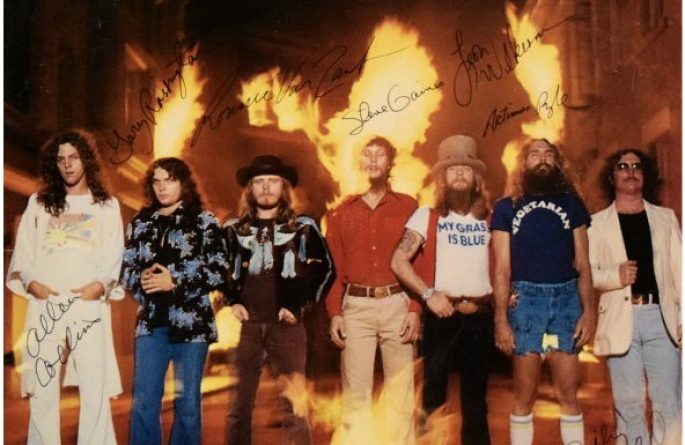 Hand signed in blue ink pen by Ronnie Van Zant, Gary Rossington, Allen Collins, Leon Wilkeson, Artimus Pyle, Bill Powell, and Steve Gaines. 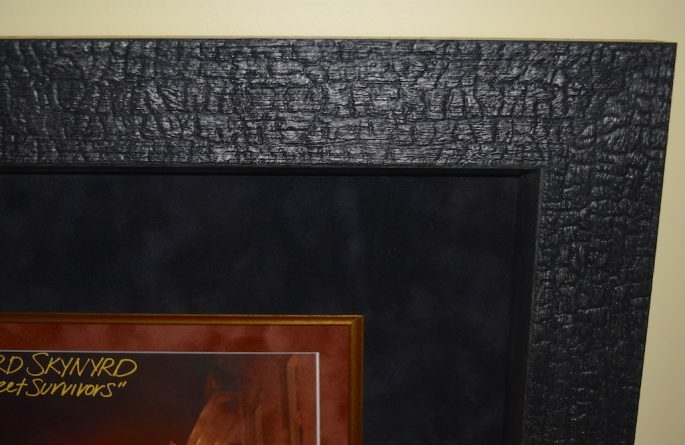 Custom Designed SPECTACULAR with Imported Charred Hard Wood Frame and Black & Rust Suede. 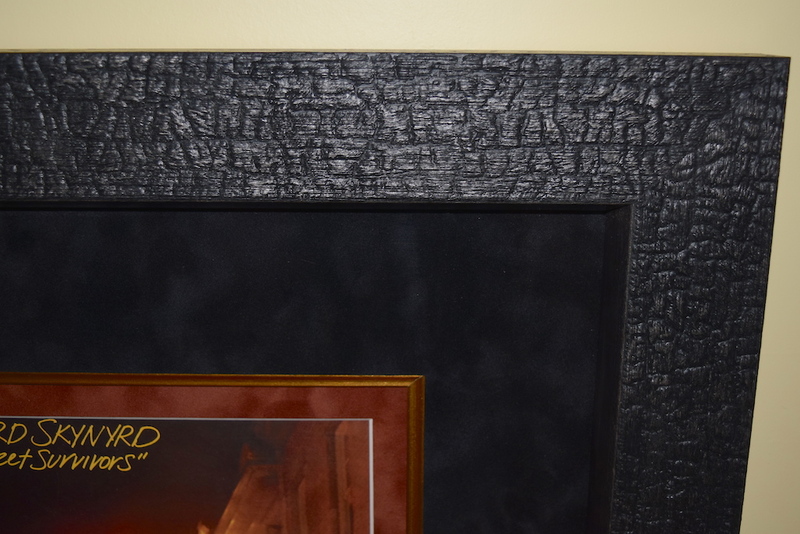 Measures: 24” x 42” x 2”.